Our Theme of Divine Manifestation continues! We are actively in the process of Divine Manifestation, where God is doing amazing things in St Paul's for our congregation, youths and young adults. We are discovering who we are in Christ Jesus, and the vision to which we are called to and held accountable. "By the manifestation of the Spirit is given to each one for the profit of all"
Our records show that St. Paul’s roots traces back to Williamsburg, Brooklyn, where on September 23, 1846 the ministry began as a German Methodist Church of Lorimer Street under the leadership of Brother C. Kiel of the First German Church in Manhattan. 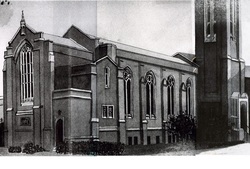 In September 1896 the congregation moved to a larger building at the corner of Marcy Avenue and Penn Street where they worshiped for thirty years. The church was also renamed St. Paul’s Methodist Episcopal Church. About the same time that the Lorimer Street German Church relocated to Marcy Avenue, the Germanic Real Estate and Improvement Corporation in Flatbush donated a plot of land at the corner of Avenue D and East 38th Street to the German community for a Church building only. The Minister was Rev. George Simmons; and he immediately moved to Vanderveer Park to organize a congregation. On Christmas Day 1894, the cornerstone was laid for the Salem German Methodist Church of Vanderveer Park with entrance on East 38th Street. This building now serves as a multipurpose building and is affectionately known as the ‘Chapel’. The Parlor building or parsonage was built in 1910 and was used for After School and Summer Day Camp Center. It also serves as the Venue for Men’s Bible Study and Prayer Group as well as committee meetings . The year 1965 started a transformation of St. Paul’s. 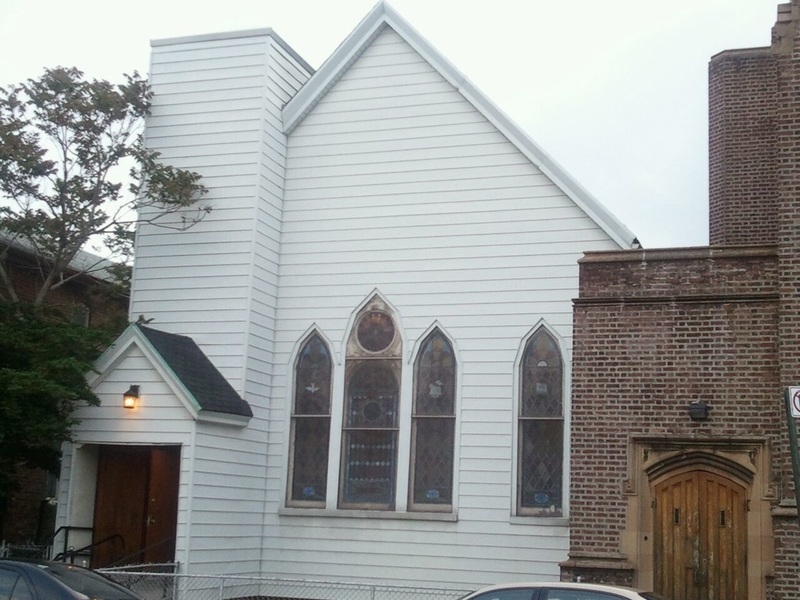 In that year there was a merger of United Brethren and Methodist Episcopal Churches, hence the birth of St Paul’s United Methodist Church of Vanderveer Park. Gradually the demography of the community began to experience drastic population shift with the influx of Caribbean immigrants. Today the congregation is a reflection of the community which also is demonstrated in the worship experience. In February of 2002, a Building Fund was launched to raise funds for a multipurpose Community building on the site where the Chapel now stands. In the fall of that year, we refurbished and dedicated the Pipe Organ of the Church. The year 2003 brought a wind of change to St. Paul’s in many ways. First, we celebrated the installation of chimes in the new bell tower with its soothing programmed hymns. Secondly, we gave a warm farewell to Rev. Leonis A. Quinlan Jr., on his retirement. That same summer, we welcomed Rev. Delroy D. Murdock as our new Pastor. Along with his wife Pauline, they have brought a new commitment to the study of the WORD and richness to the Spiritual growth of the church. In 2004, we installed a new parquet floor and new windows with contributions from the church families in the Auditorium. God has blessed us to do the following things in the past few years: 1) the installation of the Booth for media support of audio and visual to enhance the service. 2) Installation of the ramp and lift to facilitate the physically challenged. 3) The Trustee Board has facilitated the installation of new gas boilers to replace the previous oil burners. In the year 2011 - 2013, the Chapel and Parlor Building (Day Care) underwent a complete renovation which included new bathroom and kitchen. The Parlor is currently used as a Summer Camp Administration Office, as well as hosting committee meetings. The Chapel provides adequate space for our growing After-school, our Wesley Adult Group meetings and for Choir rehearsals. Other significant repairs were undertaken by the Trustee for the general upkeep of the church building. The church welcomed our Youth minister; Rev. George Haighler III, Assistant to the Pastor, who served until February 2014. The highlight of 2013 was an installation service where major projects were accomplished by the Trustee Board. St. Paul's UMC said farewell in 2014 to Rev. Delroy Murdock and his wife Pauline who retired after 11 years of service to St Paul’s. Shortly after, Rev. David Henry and his wife Olivette join the St. Paul's family in the summer along with Minister Omar Hall, who was recommended by the Conference and hired as our new Assistant to the Pastor and Youth Minister. Minor repairs were accomplished to maintain the properties , in addition to the purchase of a new stove in 2015 for our main kitchen to assist in preparation of meals to help our community in several annual events. After serving two effective years of pastoral care with our Church family, we gave a special farewell celebration for Rev. David Henry and his wife on their retirement in June 2016. And, St Paul's embraced our New Pastoral family, Rev. Roger Jackson and his wife Kim. We begin the year with 'Divine Manifestation' where we seek God's Vision for our church and the future of St. Paul's. In February of 2017, a new vision of being 'Christ-Like' was established and has been ingrained in our everyday activities as Children of Christ body, the Church. We have completed a few projects to help meet the needs of our congregation as well as in mission. In July 2017, St. Paul's was blessed with our new Assistant to the Pastor and Youth Pastor, Angel A. Abakah and his wife Angelina; and they bring with them a passion for Christ, and a fervent prayer ministry to offer our youths and congregation. God has been good to the ministry of St Paul's, as we continue our mission of actively displaying that "Christ in alive in us".